View all of the results of the The Male Factor and For Women Only in the Work Place survey. 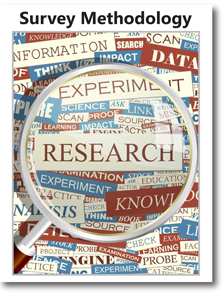 The survey methodology explains how the survey was designed and conducted and who was surveyed. Read the verbatim answers of surveyed men to two questions: 1) Please provide an example of something that even a skilled woman might unintentionally do that undermines her effectiveness or perception with men. 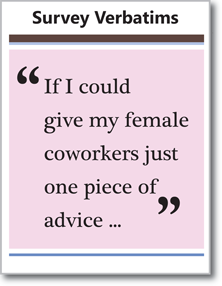 2) Finally, if you could give one piece of advice to women in the workplace, what is the one most important thing you would say to them?